Bankrate: Will FHA Changes Spark Reverse Mortgage Revival? The housing market bust correlated strongly with a sharp decline in reverse mortgage origination, but with the federally-insured program set to undergo substantial changes, the product could experience a rebirth, says a recent Bankrate article. Reverse mortgage volume increased significantly during the height of the housing market bubble and were touted as a way for retirees to convert their home equity into cash. 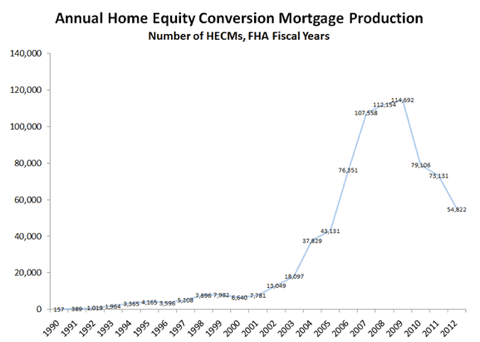 However, as home values dropped, so did home equity conversion mortgage (HECM) volume, indicates data from the Federal Housing Administration. The FHA’s insurance fund suffered substantial losses on its reverse mortgage book from defaults of HECMs originated prior to the housing bust, prompting upcoming changes to the program, says Stephen Malpezzi, a professor at the Wisconsin School of Business’ Graaskamp Center for Real Estate in Madison, in an interview with Bankrate. The effectiveness of the upcoming FHA reforms in the event of another boom-and-bust cycle are unclear so far, says Malpezzi, but the reverse mortgage product has upside. Other topics addressed in the interview include changes in home equity and value, the consumer protections that have been put in place in the last few years for reverse mortgages, and how consumers can distinguish the difference between beneficial and non-beneficial usage of the loan. 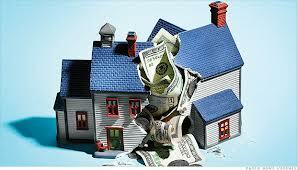 Read the full article at Bankrate.